At its recent Annual General Meeting the Marine & Yachting Association of Grenada (MAYAG), appointed a new board of Directors. The board consist of Robin Swaisland, who has taken over as the President, James Pascall, who retains the post of Vice President, while Rosetta Weston is the new treasurer, and Danny Donelan remains secretary. The other board members are: Darren Turner, Dieter Burkhalter, Jason Fletcher and Nicholas George. It is expected that the board will be further strengthened in the coming weeks. Over the last 5 years, MAYAG has accomplished a great deal under the guidance and leadership of Past President, Anita Sutton in particular. During this time MAYAG was able to secure funding over EC$1 million dollars from CDB and CDE, which was used to improve marketing of the yachting sector, to conduct an Assessment of Economic Impact the Yachting Sector has in Grenada, and to improve security for yachts on our islands. The funds were also used for a major initiative on training for the many technicians working in the sector. The main findings of the Economic Impact Assessment, were that Yachting related business contributed over EC$130 million to the island’s economy each year, and employs directly over 900 Grenadians. These results reinforced MAYAG’s representations to the Government on behalf of the sector, who now see the industry as a major component of its economic growth strategy. Specific deliverables for the past 5 years for marketing include developing a marketing plan, attending boat shows, producing and distributing thousands of copies of the Grenada Grenadines Yachting Guide, and developing a social media programme. Under the security segment, MAYAG has improved VHF operations at The Coastguard Base, Police HQ and Hillsborough, and have worked towards instituting the ‘Marinewatch’ scheme in conjunction with the Grenada Tourism Authority and the Royal Grenada Police Force. To simplify the movement of yachts and their crews, MAYAG purchased computers for all marinas so that captains can operate a new system called Sailclear, which makes clearing into and out of the island a lot easier. MAYAG has also started dialogue with all stakeholders in Grenada and St Vincent, about the benefits of improving the ease of movement of yachts between both islands. MAYAG has invested heavily in the training and certification process for our technicians. The need for national standards within the marine & yachting industry was recognised, and the Marine Institute of Newfoundland (MINF) was contracted to train and certify Grenada’s technicians in the American Boat and Yacht Council (ABYC) Standards. The training provided certification courses & study guides for 5 most useful skill areas (Diesel Engines, Gasoline Engines, Electrical, Systems and Composites). 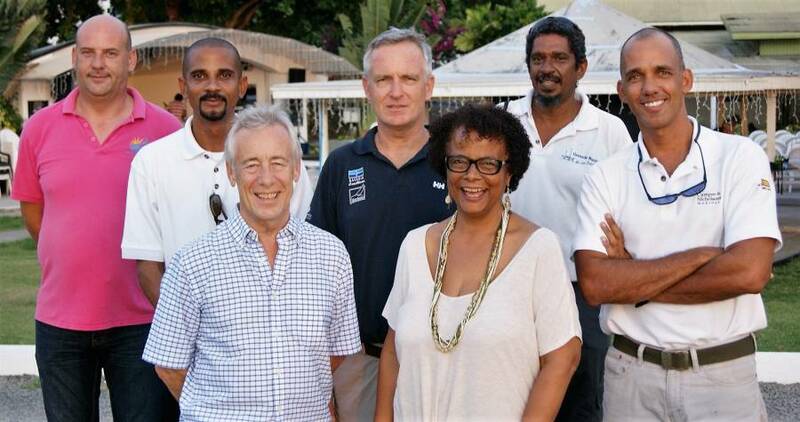 The new board is looking forward to building on the success of the previous years and keeping Grenada’s yachting industry growing and improving as it has done in recent times.